The USAF Auxiliary, Civil Air Patrol is looking for Patriotic Citizens that wish to serve their community, state and nation. Opportunities include: Aerospace, Emergency Response, Search and Rescue, Cyber Security, and Youth Development. Adults Volunteers: Though Civil Air Patrol is known for its flying missions, CAP adults members, known as Senior Members, do so much more than just fly. In disaster-both natural and man caused, our members fill vital roles, including: Air Crew, Aircraft Maintenance, Ground Teams, Communications, Logistics, Supply, Legal, IT and Cyber Defense, Public Affairs, Transportation, and Finance, just to name a few. Youth Volunteers: The CAP Cadet Program is a year-round program where Cadets fly, learn to lead, hike, camp, get in shape, and push themselves to new limits. If you're dreaming about a career in aviation, space, or the military, CAP's Cadet Program is for you. Civil Air Patrol’s missions for America are many, and today’s adults and cadets perform their duties with the same vigilance as its founding members - preserving CAP’s 75-year legacy of service while maintaining its commitment to nearly 1,500 communities nationwide. 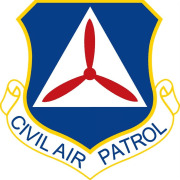 Would you recommend Civil Air Patrol Squadron 1007?